After successful completion of first phase of free laptops distribution, Punjab Government has once again started Free Laptops Scheme. 100 thousand laptops will be awarded to talented students on merit basis during phase-2. Now students of other provinces and Islamabad will also be awarded free laptops, Click to see more details. First consignment of 30,000 HP1000 Laptops has been reached in Lahore. Distribution of laptops will be started on 07 November, 2012 from Bahawalpur. These laptops are latest than last year's laptops. 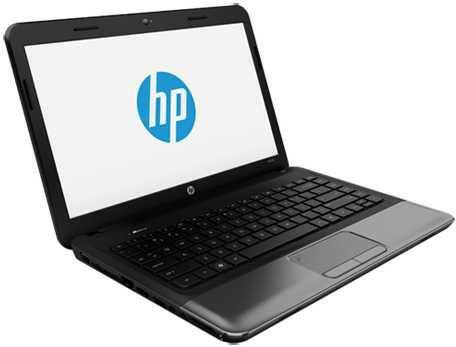 Click to see specifications of HP1000 Laptops. Following is the city and date wise schedule of laptop distribution ceremonies. Left over eligible evening students of last year will be provided laptops during this phase. Only those students will be awarded laptops who are already registered or declared eligible. No new name will be added in the existing lists. 100 top students of Matriculation Examination from each of the eight Provincial Boards, Technical Board and Federal Board of Intermediate and Secondary Education. 400 top students each of Matric and Intermediate Exams, from other Provinces, Azad Jammu and Kashmir and Gilgit Baltistan. Top ten students of MS/ M. Phil/ PhD Programs in each department of the public sector Federal Universities in Islamabad and their campuses in Punjab. 4,000 laptops will also be awarded to the students of “Deeni Madaris”. Laptops will be distributed by Auqaf Department after devising merit criteria subject to the approval by Chief Minister. Following students are not eligible for this scheme. federal ki private universities k liye kya ye offer hai...??? This scheme is very helpful for the students specially computer science and management students. most of the students does not afford laptops which is now a days became a basic need for students. This scheme is really a good move. I appreciate it.